“My son, Micah died in 2012 from kidney disease and complications,” wrote Minnesota minister Michael Sechler. Obviously, as it would be for any parent, it was a devastating experience. Michael captured both his feelings and his faith as he wrote these words in his journal. When we experience the separation of death with its accompanying hurt, loneliness and grief, one of the great texts of the Bible to offer comfort and consolation is Psalm 46. The first verse begins with a promise that provides solace in times of sorrow. 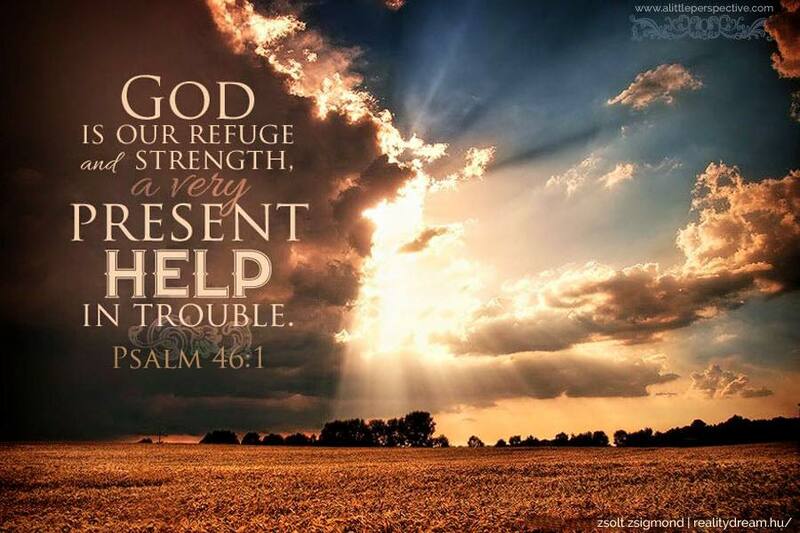 (1) God is our refuge. A refuge is a place of safety and security from danger. We can find shelter in God in times of trouble, trial and temptation. When heartache overwhelms us like a flood God’s love, mercy and goodness are a guard to our spirits. They sustain us and offer sanctuary in a sinful world. A world with senseless evil and unmitigated malice. (2) God is Our Strength. We need not only refuge for shelter and safety, but strength to take up life’s tasks once the storm has passed. When we experience sickness and sorrow in our lives, it is debilitating. When death invades our home, it can drain our energy and emotion. It leaves us empty. Hollow. And hurt. In times like that we need mental, emotional and physical strength. We need spiritual strength. God will not fail us when we need him. The Psalmist emphasised this fact when he wrote. God is our Help. Our present help. Our very present help. God’s help literally reached to earth from heaven when He sent Jesus to die for our sins. Make no mistake, God loves you. Cares for you. And desires to help you. Whatever challenge you are facing, ailment you are suffering, or hurt that you are enduring, know that God is there. He will sustain you. Protect you. And bear you through your veil of tears. It is easy to forget, through our pain, that the innocent go straight to heaven upon death. There they await our joining them. What a great reunion that will be. Being with Jesus, God, and our departed innocents: a scene of tremendous and eternal Joy. Thank you God for great expectations.